The White House has attributed President Donald Trump’s slurred speech to a dry throat, notes the Los Angeles Times. 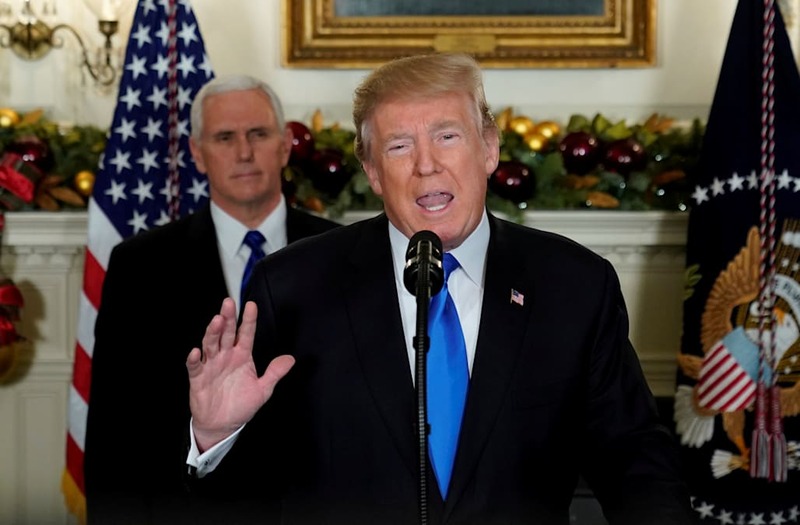 His enunciation trouble came at the end of his Wednesday announcement that the U.S. intends to acknowledge Jerusalem as Israel’s capital and will be moving its embassy there. While making his closing remarks, he appeared to slur his speech, drawing out the first s in United States. “His throat was dry. There’s nothing to it,” Raj Shah, a White House spokesperson, said. In the moments following the president’s trouble speaking, Twitter was flooded with messages of concern, both real and feigned in the service of sarcasm. @bobbyfinger First time in history a Trump slur wasn't racial.